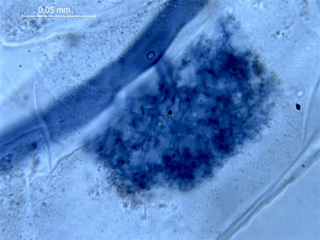 Arbuscular mycorrhiza is a mutualistic symbiosis (=a close association bringing benefits to both partners) between the majority of land plants and fungi from the phylum Glomeromycota. The fungi are obligate symbionts, that is they cannot be cultivated without their host plant. About 250 species of Glomeromycota have been described. The fungus colonizes plant roots and forms symbiotic organs such as coils, arbuscules or vesicles. The plant provides carbohydrates from photosynthesis whereas the fungal partner improves mineral nutrient transport. Other, more complex beneficial effects of the association involve increased pathogen resistance and improvement of soil structure. Arbuscular mycorhiza is therefore an essential factor for plant ecosystems and has considerable potential to be used for improving crop production. Why a living culture collection? 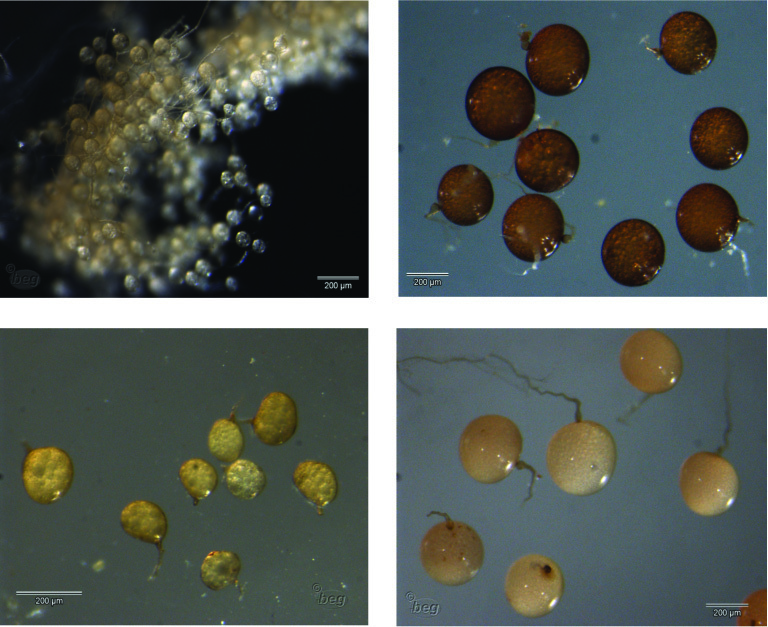 Due to the obligate biotrophy of arbuscular mycorrhizal it is not trivial to obtain well-identified and characterized germplasm for studies of this important symbiosis. Therefore, there is a clear need for for cultures maintained in the long term under strictly controlled conditions. Historically, the collection was initiated in 1994 by a European research network (COST, Coopération Scientifique et Technique) of 21 participating countries. Originally, it was called "Banque Européenne de Glomales (BEG)", a name which was modified later to reflect its outreach beyond Europe and changes in the nomenclature of arbuscular mycorrhizal fungi. 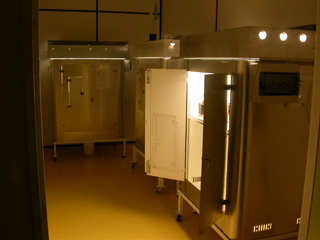 IBG was conceived as a "collection without walls", that is, fungal cultures were kept in several European laboratories with a core collection at INRA Dijon. These cultures were registered in a central database. The BEG/IBG collection was built up by Vivienne Gianinazzi-Pearson who was its curator until 2011. The collection has been governed by a steering committee, which currently has six members. The core collection at INRA Dijon currently harbors about 250 cultures of 41 isolates in 31 species. 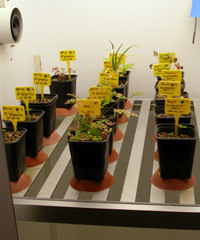 The fungi are grown continually in association with their host plants (onion/leek, parsley, clover, Tephrosia) in custom-built, illuminated growth chambers situated in climatized rooms (16h light/ 8 h obscurity, 18-26 °C). According to the specific needs of the fungus, we use two soils of different pH. For propagation, a number of spores is wet-sieved, hand-picked and used to inoculate sterile-grown plant seedlings. Cultures are to be renewed at least every two years. Upon request via the collection website, small quantities of inoculum (50g) of a maximum of three isolates are provided. A fee of 48 EUR per isolate is asked for requests from countries with a GDP per capita higher than 10000 US$. For larger quantities or purified spores, please inquire at ibg(at)dijon.inra.fr. We are in close collaboration with our partner collections INVAM (USA) and CICG (Brazil) to better achieve our common goals. -Provide, upon request or within the framework of research projects, high-quality germplasm of well-characterized arbuscular mycorrhizal fungi. -Maintain reference cultures for industrial partners (e.g. inoculum producers). -Organize training courses about identification and cultivation of Glomeromycota. -Provide a database of informations about IBG isolates.